Our People - we believe in possibility. 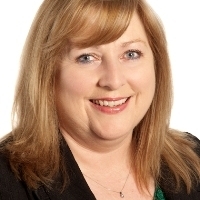 Deirdre holds an MSc in Executive Coaching & Behavioural Change through Henley Business School (Reading University) and is a graduate of Business Management with over 30 years HR, Recruitment & Selection and Coaching experience both nationally and internationally. 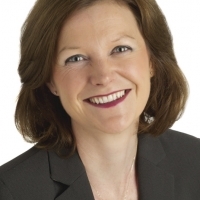 She is the Managing Director of Leinsters leading HR Service’s company established since 1998. Her experience spans both global and local organisations with exposure to Multinational Best Practice environments. 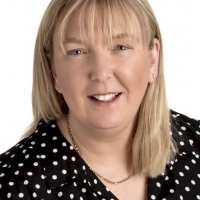 Her passion for helping people get the best out of themselves is contagious.Deirdre’s coaching practice is based on a strong code of ethics founded on confidentiality and a clear coaching contract. She works with a strong awareness of the system within which individuals and teams work and live. Stephen is Partner Director at Clark, having joined the company in April of 2008. Prior to this, Stephen worked in the Services Industry, specialising in Sales, Personnel and Recruitment Management. He holds a (Hons.) Degree in Marketing from Dublin Business School, a Diploma in Behavioural Science, an IMI Diploma in Digital Marketing & Social Media and is also a Qualified Psychometric Assessor and a highly experienced and competent Project Manager. Along with managing the overall business, Stephen manages a number of significant outsourced projects including RPO for Teagasc & IMR, distribution management for Pre Hospital Emergency Care Council along with a number of other ancillary projects that fall under Managed Service Solutions. 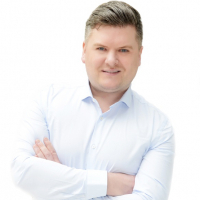 Stephen is responsible for overall operations at both Clark Recruitment Ltd and Clark Executive Ltd, with a particular focus on Recruitment & Selection and Managed Service Solutions. A keen marketer Stephen is at the forefront of creative development in Clark and implementing state of the art technology and systems. Stephen sits as a Council member for Project Search and is also a member of the NRF Skillnet Committee. Stephen is very customer focused, energetic and above all highly organised and solutions driven. Edel holds a BSc (Hons.) Degree in Property Economics and is a qualified Psychometric Assessor trained to use the Innermetrix suite of tools. 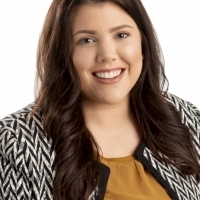 In 2018 Edel’s contribution to the Recruitment Industry was validated when she received the finalist nomination for Recruitment Consultant of the Year (Permanent) by the National Recruitment Federation. She has extensive experience in Account Management, Business Development and Sales. Edel has Project Managed the Recruitment Process for a diverse range of clients including large Multinationals, SME’s and Start-up Companies across a wide variety of industries. Her core remit is to grow existing business, attract new customers and optimize brand traction & service delivery across our business lines. She has extensive experience working on Temporary, Retained Contract and Permanent Placements. 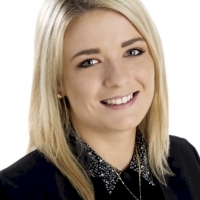 Niamh is Manager of the Permanent Recruitment Division. She has over 15 years’ experience in Recruitment, Account Management and Business Development across a wide variety of sectors. Niamh has recently completed her Certificate in Counselling Skills in NUI Maynooth and is now on a MSc programme in Guidance Counselling in DCU which commenced in September of 2017. She is also a qualified Psychometric Assessor trained to use the Innermetrix suite of tools. Niamh’s focus is on leading the permanent recruitment division, developing her team and working closely with clients to provide a professional service and build successful commercial partnerships. 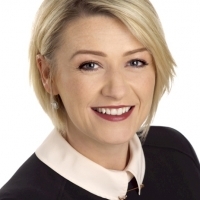 Sarah holds a Diploma in HR Management, a Certificate in Journalism & Media and she is IITD qualified. She is a highly experienced recruitment consultant with extensive national and international experience, of both in-house HR and external recruitment. Sarah’s focus is on managing temporary recruitment projects working closely with clients to provide the highest standard of service. Sarah is currently out of the office on Maternity leave returning in late 2019. Katie has over 7 years’ experience in sales and relationship management, gained mostly in the hospitality industry. 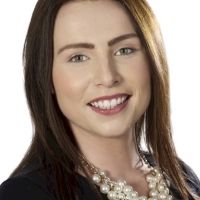 Katie holds an MBA in Business Management from Dublin Business School, and an (Hons.) Degree in Marketing from IT Carlow. She joined Clark in May 2017 and soon afterwards completed the NRF Programme in Recruitment Practice. Katie has just qualified as a Psychometric Assessor trained to use the Innermetrix suite of tools. She is very customer focused and is dedicated to delivering a high level of service to both clients and candidates. Katie’s focus is on permanent roles and her goal is to exceed client expectations, while delivering a unique client experience. KellyAnn joined Clark coming from corporate banking where she worked in client services and finance. Prior to this KellyAnn spent time in the services industry. KellyAnn holds a Higher National Diploma in Legal & Business Studies specialising in employment law, compliance and legislation. She has most recently completed a HR Diploma and was awarded the Graduate of The Year Award 2017 by the NRF after completion of the NRF Recruitment Practice Certification. KellyAnn supports our Temporary Divisional Manager and assists with developing key accounts and managing the recruitment experience. She is dedicated to providing a high standard of customer service to both clients and candidates. Evan has over 6 years’ experience in Customer and client operations, gained mostly in the FMCG and IT Industry. 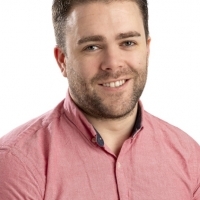 Evan holds an BA in Economics from University College Cork, and a Masters in Health Economics from University College Cork. Evan joined Clark in 2019. He is very customer focused and strives to provide the highest possible service to both clients and candidates. Evans focus is on permanent roles and his goal is to exceed client expectations, while delivering a unique client experience and managing customer expectations. 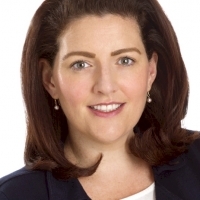 With an Hons Degree in Communications from DCU and a Certificate in Personnel Practice (CIPD), Beatrice has over 13 years experience in professional service-driven environments. She has held many positions including Training & Quality Manager and Recruitment Consultant. As Marketing & Quality Specialist, Beatrice has responsibility for all digital social media platforms, marketing & communication campaigns, internal quality project coordination and ISO at Clark. 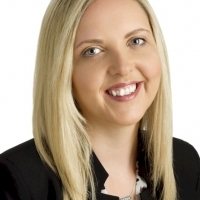 With a Bachelor’s Degree in Business from IT Carlow, Ciara was promoted to Project Manager within Clark. Acting as the solitary recruitment partner for Teagasc, she is responsible for the coordination of all Teagasc recruitment activity. Bernie’s vast experience in Payroll and Accounts covers a full range of sectors from manufacturing, to finance, to retail. Clients in these businesses depend on her to manage their Payroll systems and ensure their personnel are paid correctly and on time. In addition to out-source Payroll solutions, Bernie’s technical expertise includes project management, finance and book-keeping. Above all, her calm professionalism and personable manner ensure an excellent service. Jacinta returns to Clark with responsibility for Accounts & Payroll. Jacinta has a wealth of experience in Accounts and Payroll and will provide payroll management for our Temporary Division as well as Outsourced Managed Payroll Services within our Managed Service Solutions Division. Jacinta returns to Clark having taking time out to raise her family. 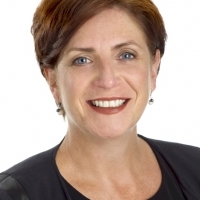 Susan joined Clark coming from retail & lifestyle organisations where most recently she worked in Client Support. Prior to this Susan worked in the beauty industry. Susan is passionate about people and providing a top tier level of service. Very much a people person Susan looks forward to engaging with all of our clients and candidates as the first point of contact.